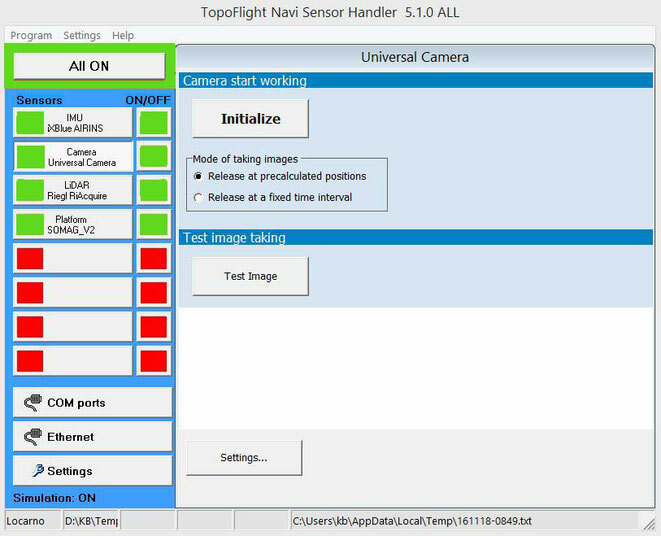 TopoFlight Navigator is used to navigate the airplane or helicopter for image and LiDAR data acquisition. A predefined flight plan (e.g. 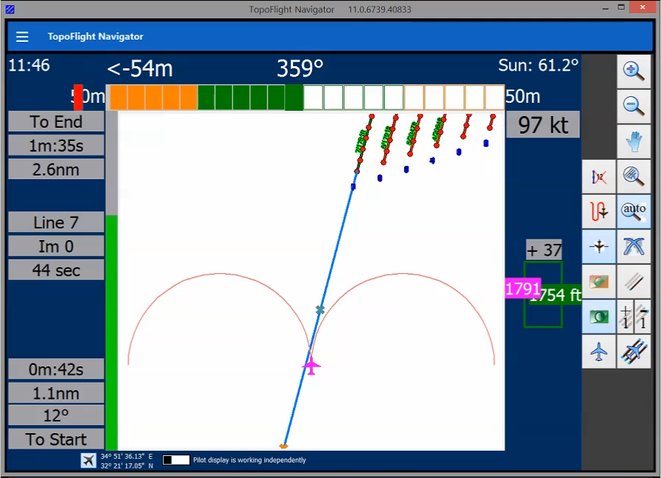 provided using TopoFlight Mission Planner) is used as base data. The camera is triggered at the pre-defined positions. With the introduction of version 10 of TopoFlight Mission Planner, it is possible to plan flight lines along the terrain. This means: flight lines are still straight lines but they follow the terrain up and down. This is very useful for helicopter flights. 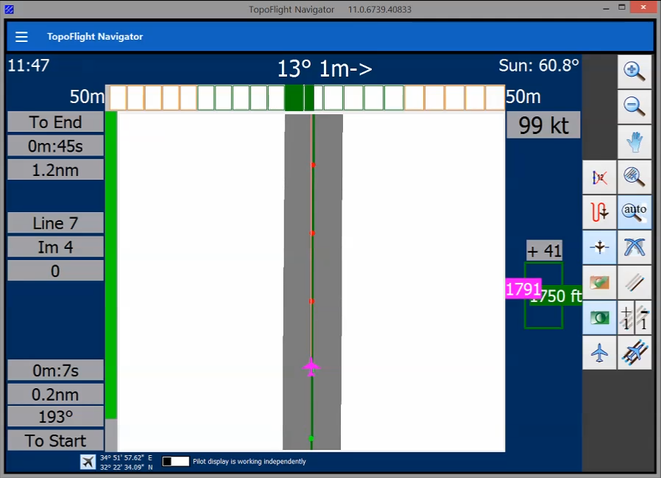 With TopoFlight Navigator such flight lines with changing altitudes and constant height above ground can be navigated. The system consists of different modules to give the possibility to combine the actual TopoFlight Navigator with many available GPS, IMU, platform and sensor system using serial port and ethernet (TCP/IP and UDP) connections. High level of customization for display contents like colors, symbols, tolerances, units, etc.